Kay Sloan, Author of, The Patron Saint of Red Chevys. ''I have not one story, but two, in my old age -- one I witnessed, and the other I lived -- both occurred in 1878, when I was all of thirty years old. The first is my hunt for identity, its effects, mainly, but also what a man might say to a father he's never met, whose skin he borrowed without tayloring a snug fit. Based on the framework of myths that produced the curse of the house of Atreus -- one of the most powerful Greek tragedies -- Water recounts the struggles of the Olson family, how they repeat the sins of forefathers and thus condemn future generations. A narrative of racial identity, political ambition, and sexual betrayal, Water translates the classical themes of fate, vengeance, and redemption into an American context. Author of The Patron Saint of Red Chevys. 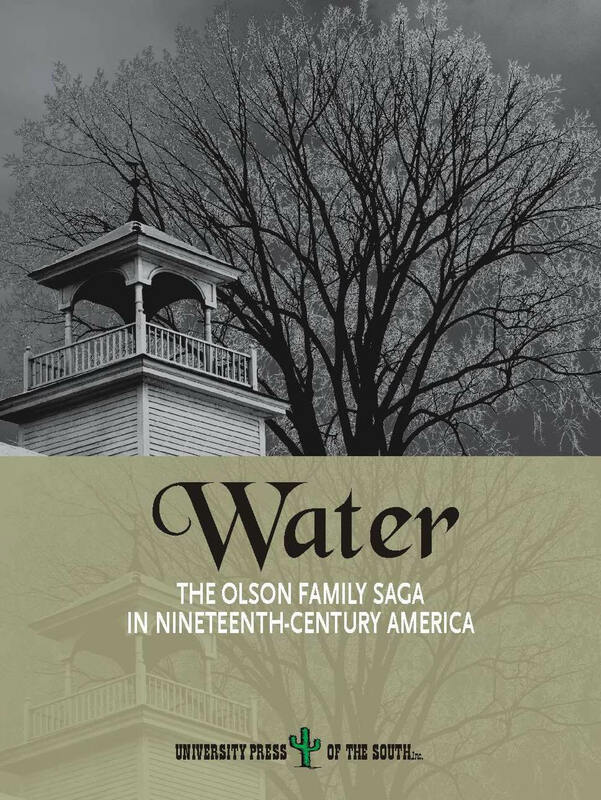 ''Daniel S. Jones’s impressive first novel, Water, calls to a number of literary forebears, a deft blend of Invisible Man and Absalom, Absalom, and is answered by Ellison’s and Faulkner’s literary descendants, especially the Lee Smith of Oral History. Here, family history is family destiny, and the sins of the father are visited upon the children—and the children’s children—with brutal efficiency. At the center of the story, our own troubled Dante, absent his Virgil, schleps the weight of history up and down the circles of hell (he is thus—also—Sisyphus). Tyrone Williams, Author of C.C. James Reiss, Author of Riff on Six. Daniel S. Jones writes, edits, and teaches in Cincinnati, Ohio, where is an Adjunct Assistant Professor at Xavier University. The author's current manuscripts include an anti-war novel titled, Lysistrata, Kentucky, and, Words Fly Away, a novel set in Cincinnati dealing with fundamentalism and homosexuality. Water is his first published novel. Daniel S. Jones won the 2005 Intro Journals Prize for Fiction from the AWP. The winning story was published in Controlled Burn.